With the Auto Expo 2012 having new launches especially in the electric car and hybrid car segments it has become evident that we as a global market are taking steps towards a cleaner environment. Are you an eco-friendly person who wants to do his bit for the planet earth but also wants to avoid using a horse carriage, well that was a bit difficult few years ago but now with manufacturers launching more electric and hybrid vehicles, we can do it and help reduce our carbon foot print minus the help of captain planet. They are many manufacturers coming up with various models in both segments; they are not restricting themselves to the launch of cars but are also venturing into the launches of many buses, trucks, bikes etc. with Hybrid or electric systems. But are they practical enough for the daily use and long drives? 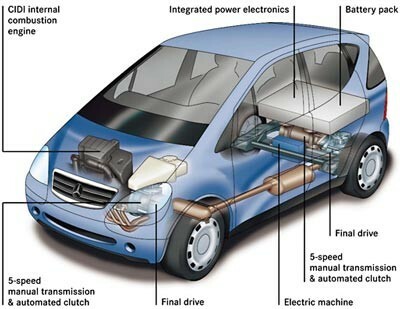 Let’s see that, but first let’s understand what are hybrid car and electric cars. The word hybrid sounds so much of a text book word from ecology, but it isn’t. It simply means that it is a combination of two or more power sources that help an automobile to be mobile while also reducing gasoline usage. 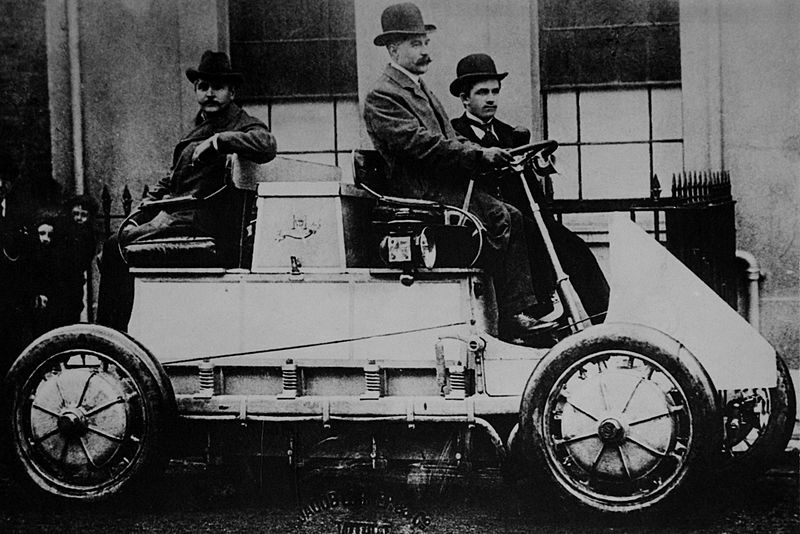 The first hybrid was created by Ferdinand Porsche in 1901 called as the Lohner-Porsche Mixte Hybrid where the drive for the vehicle was given from a battery powered electric motor, and the batteries that power the motor was charged by a generator that ran with the help of an Internal Combustion Engine. This type of Hybrid is still used, but it has come a long way from the Lohner-Porsche for many reasons, the main one being the invention and use of lithium-ion batteries and nickel metal hydride batteries and smaller and more refined internal combustion engines. The hybrids don’t need a plug in point to charge the batteries they charge themselves with the help of the gasoline engine, but some manufacturers have launched plug in hybrids where you can plug in your car to an electric point to charge your car and there are plans to make these plug-in hybrids help power your home in times of power failure. The electric car to be understood is the simplest, it’s a battery powered vehicle that needs to be connected to an electric point to be charged and to provide drive these cars can have individual motors for each wheel or can have one motor powering the drive train which will include the gearbox. The charging is the simple and plain as charging your mobile you just have to plug in your car in an electric socket and leave it to charge but what’s more simpler is the fact that its driving as these are mostly auto transmissions, which help in gaining the best of the motor. 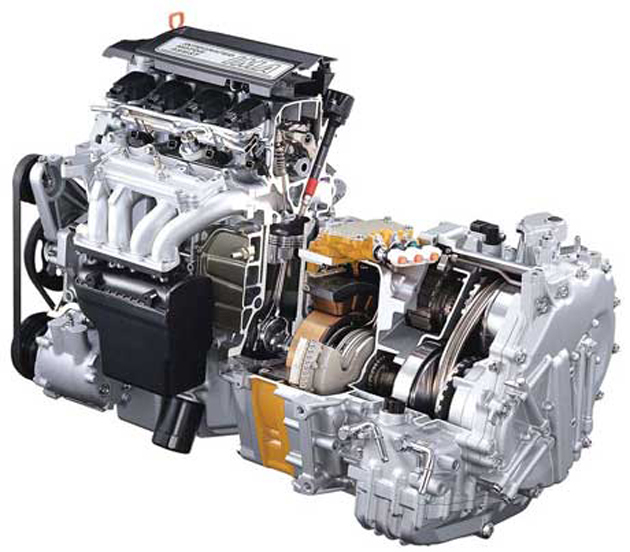 Once I remember watching a show on a famous channel where in a muscle car engine was removed and replace with a powerful electric motor, and yes the car did have a gearbox but it was an automatic transmission. Which is more sensible and useful ? After understanding all that we have to about electric and hybrids, let’s get to the main topic. 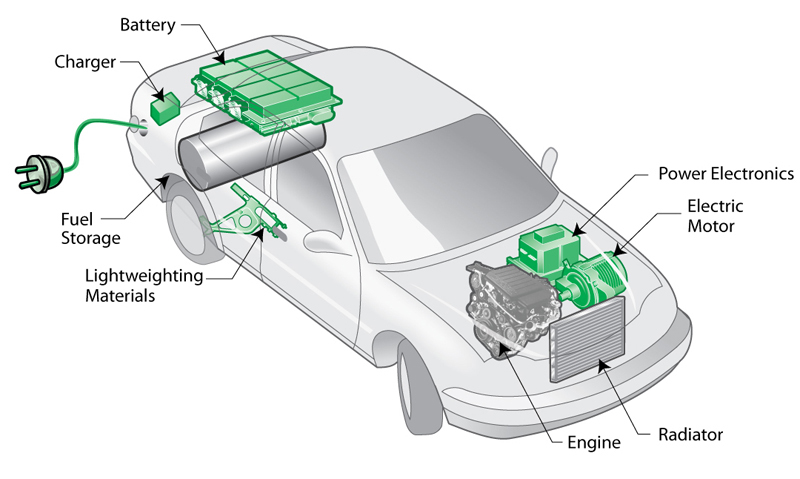 The Hybrids are cars that have alternate sources of power so in case one source is depleted the other will still power your car, till a distance where you can find help but with the complexity of the cars the repairs can turn out to be a hole-burner in your pocket. Electric cars are reliable and quiet with only the humming from the motor, but on the other hand the electric solely relies on only one power source. This is a major drawback for electric cars yet as there aren’t many charging points in the city forget India even in the developed countries but there are companies that are striving to create longer range electric cars. The most famous example of a long range electric car is the Tesla Roadster which proves that at a price the range factor can be extended and yet be fun to drive just like a normal car. Now to be useful in our daily use the car should be able to cover at least 300-400 kms till it requires a re-fuel and that too quickly it should also be able to cope up with traffic and also in traffic. All of these are possible with a gasoline powered car but the electric car doesn’t meet any of the above, whereas the hybrid is a Technology that helps in overcoming the shortcomings of an electric car and a gasoline car. 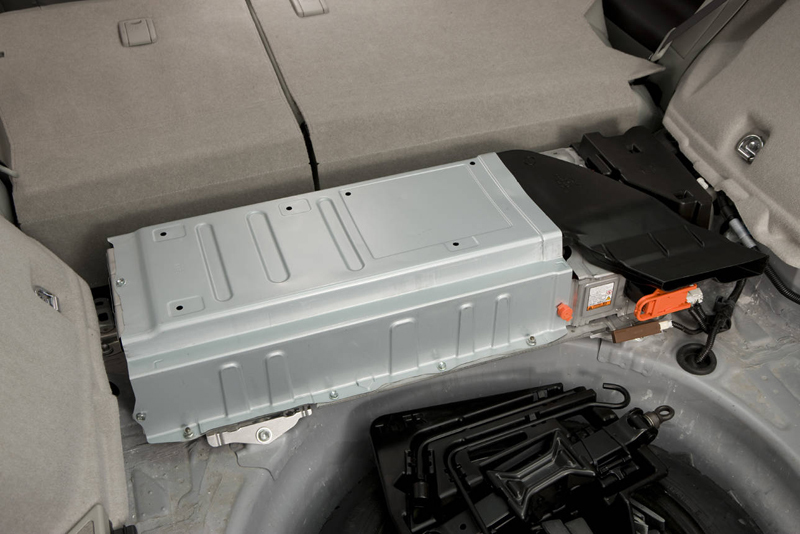 One main thing is that the batteries used in both hybrids and electric are a bit expensive to replace and the life of these batteries aren’t going to match manufacturer’s claims as the life of the battery is affected with many factors like driving style, traffic, load etc. Keeping aside the fact that these cars will be used mostly for daily commute we get to the part where you want to go for a long drive so lets’ say you are in your hybrid heading to Lonavla for the weekend, you can just keep going on to Lonavla, as every few kms or so there is a gas station but in a electric car in case your battery is drained, you will have to get someone to lend you to use their power source to charge you car, and that too the charging won’t be as fast expected and you may have to stay put for at least 4-6 hrs before you proceed. The verdict is the summary of all that’s said and done, and yes its true but it can also change one’s perception that is formed after reading the whole article. So by saying that I would like to wrap this by saying that irrespective of the technologies that the companies being implied day in and day out to improve the electrics and hybrids the verdict will emphasize on the fact that this article is to help decide in the current market scenario and with saying that I would like to sum it with a concise statement which is, that the Hybrid car is the my pick as of now as the electric car needs to overcome many obstacles.